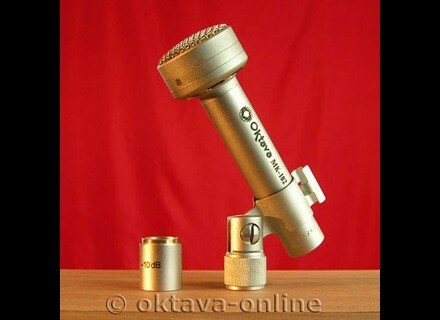 MK-102, Large diaphragm condenser microphone from Oktava. Static Micro VERY large diaphragm condenser (3 cm!) Despite its small size. I have received the past but I have already been able to compare to my Rode NT2 in atmosphere in a repeated (acoustic) on a classical guitar and a voice. I hate to compare KM184 has, as I have parcque feel Oktava has not ashamed !! Well I have not yet tested with the pad on a battery but I m ​​waiting to be happy !! 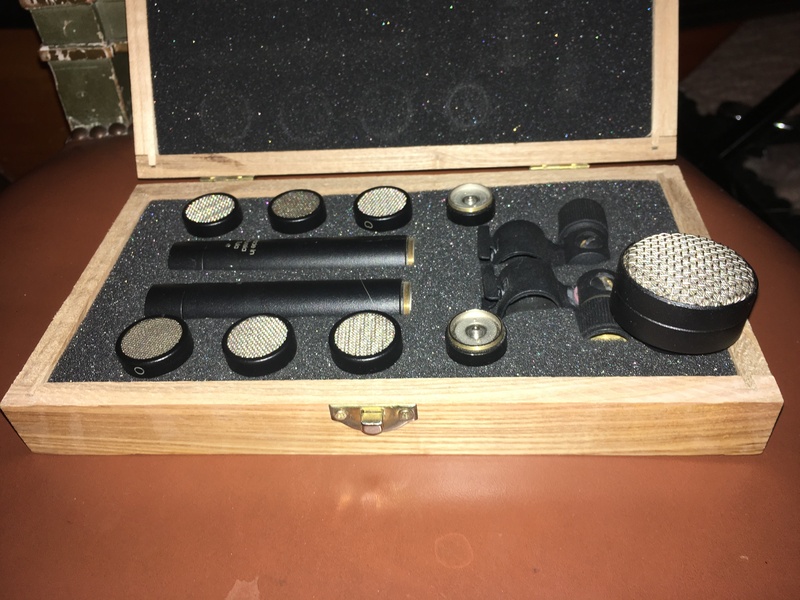 I would do this choice without hesitation and I recommend these mics to everyone, rather than buy Chinese microphones for nothing, save up a little, and take OKTAVA !! I use it for almost a year. I write mainly to an unexpected find out: I put it once in front of a bass drum, 10cm skin resonance centered on the strike zone and ... it's great in this application. So I will do it every time and only uses it for the bass drum. Obviously if the barrel is really rotten it probably does not work as well and a Beta52 or other inside will be more suitable, but if the bass drum not sound too bad base, it's really a good solution. typing is very clear, and the roundness was very pretty in the bass. Very little crosstalk as well, which surprised me. The mix, it is easy to isolate the kick to do what you want. So it puts some question the idea that does not render well serious, it says it depends on the bass, I will edit this review to a bass amp if it does not work, I have not tried. It is also very well behaved on hihat and room mic away before the kit, but now the bass drum always monopolizes. I tried for singing, a little, it is one of its destination it seems, I am not convinced because it sounds too 'end', too light for my taste. I sent it to Michael Joly for modification, with two of his cousins ​​MK012, I'll let you know the results. In any case it allows me to abandon the use of a Loudspeaker to capture SUBKICK, which rids me of a DIY bulky, heavy and fragile in the bag mics. Condenser microphone Cardioid large capsule, mounted on the body / preamp to the famous MK-012 and with a-10dB pad. New catalog Oktava, mine was manufactured in November 2004. Fine finish, well up from the MK-012-01, the preamp has been slightly changed, extended to 1 cm, the catch is now golden and machining seems better calibrated. I use it for one month, and if I was immediately attracted, the more time passes, the more I appreciate it. It has a sound that is sweet and true to the source, in a word, I find it very musical. I use it in home studio to record my guitar or my voice, and I must say that from the Behringer B1, I am a real revolution! Compared to B1, it has a much better response off-axis, a lower midrange, treble much richer much less aggressive but present (unlike its little brother MK-101 microphones and other brand), and much better cash in short another world! All for 200 Euros on the net, I could even choose the copy that I wanted in terms of its real curve! That, I think very soon buy a second for the pair, plus a set of MK-012 capsules that can screw it into the bargain! In short I am crazy! 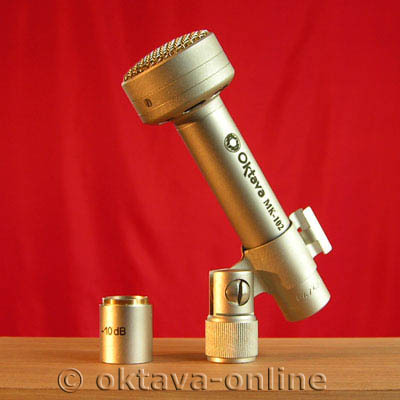 Only precaution before diving, try to get the seller, the image of the curve as the Oktava microphone can be very different from one model to another. It is the successor to the MK101, with a double diaphragm capsule 33mn wide and 5 microns thick. Less than 18 dB of background noise, trs is good, but we can do better. He needs a phantom power supply 48 volts. He did not have much hlas rglages share a tip that enlve 10db and a suspension of average quality. 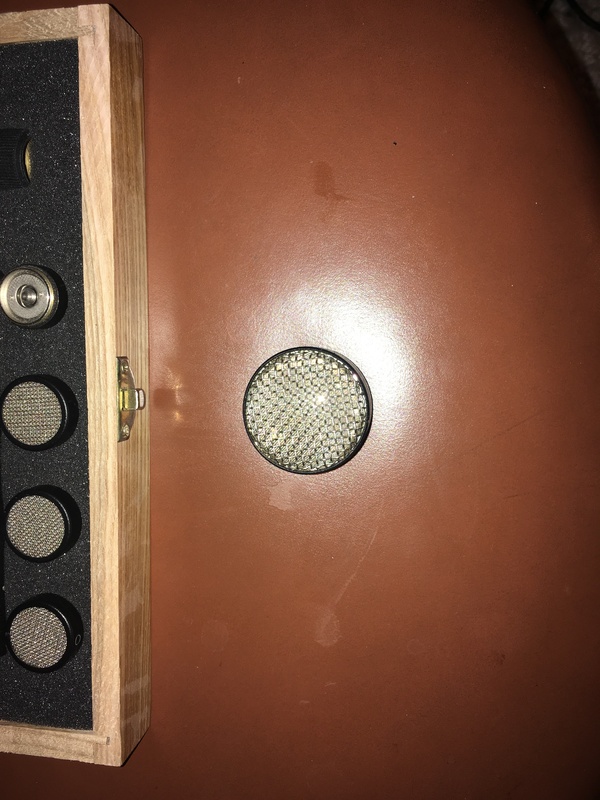 The capsule is being protected by a small grid so that the microphone does not undergo the flattening of some micro with REMBOURAGE or foam interior. The sound is raw, trs slice. I have a pair that sounds somewhat similar prs, the manufacturing quality seems first rate, and the suspension is effectively no more. The microphone is very small, we imagine the larger picture. The sound is really trs typ. is simple there is virtually no serious medium and serious! For acute against the final and are extremely well prcis. Difficult to put a note as a microphone can also typ dplaire please or following the use made of it. It is a micro IDAL some brass on steel guitars, folk, and some high-pitched voice singing that trunk. In close mic on the agreement of much whistling, an anti-pop is necessary. A hat or a sock can be used to change the timbre of a microphone then picks the best mediums and crushes the more acute. It's a microphone on some interesting instruments and some voice. But it is not really versatile.